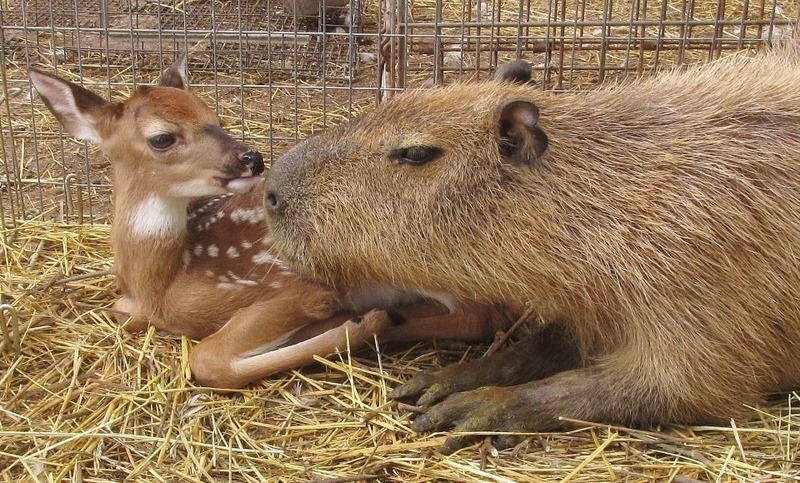 Cheesecake, a six-year-old Capybara was brought to Rocky Ridge Refuge in Arkansas where she was surrounded by animals unlike her. 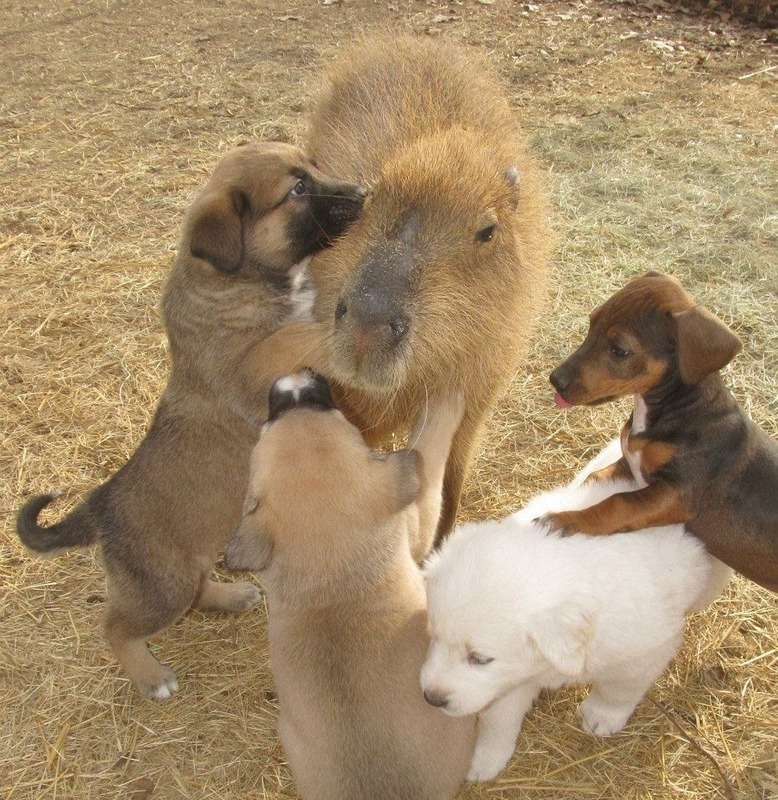 Although Cheesecake was the only Capybara in the refuge, she has a very kind and friendly spirit, and for that, all the animals immediately seem to love her. Janice Wolf, the refuge founder said that when Cheesecake was brought to the rescue at a very young age, she needed to be inside her home often, alongside her pups. “She played with the dogs and slept with the dogs,” Wolf recalled. Cheesecake practically fosters the puppies around her. Cheesecake became so friendly and caring to the other animals in the refuge, almost acting as a mother figure to many of them. As you can see with the Ducklings, Cheesecake nurtured them. She also became very friendly with the deer. 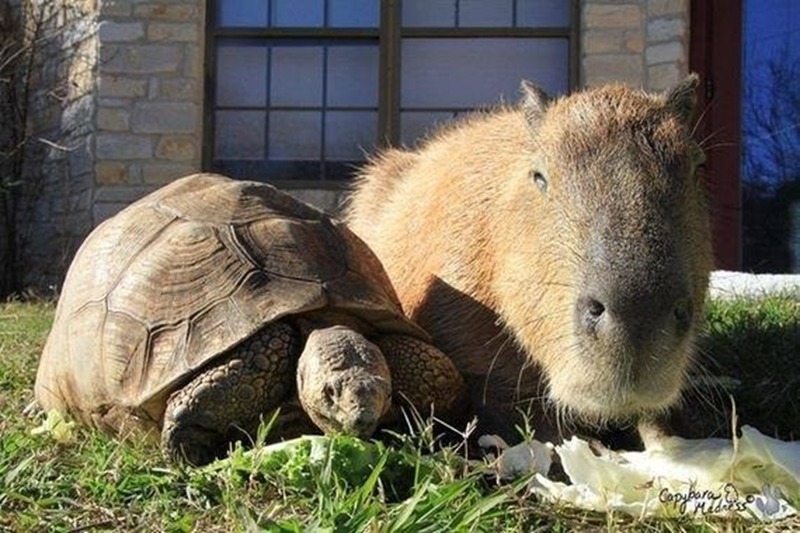 Even the tortoise is great friends with Cheesecake! 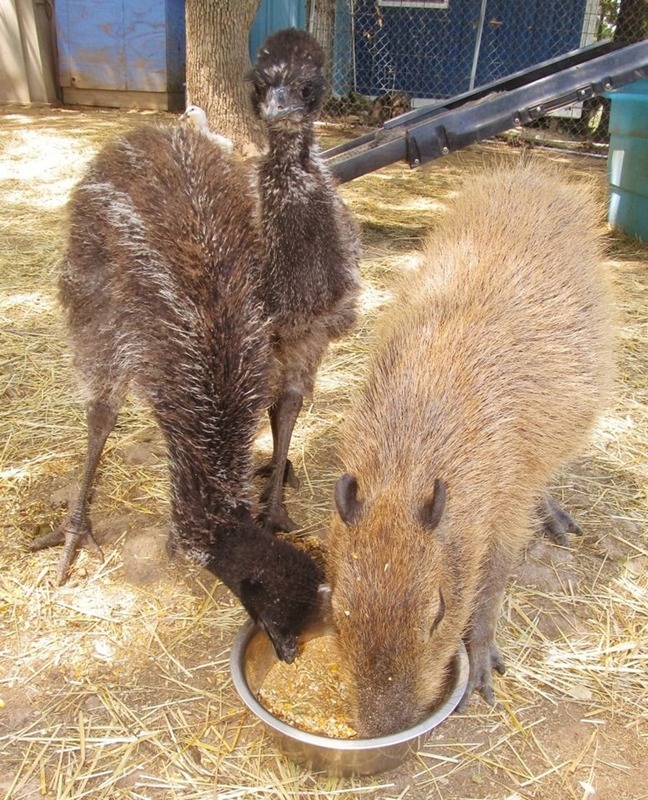 The Emus love her and let her share their food. And the miniature horse considers her a great friend. 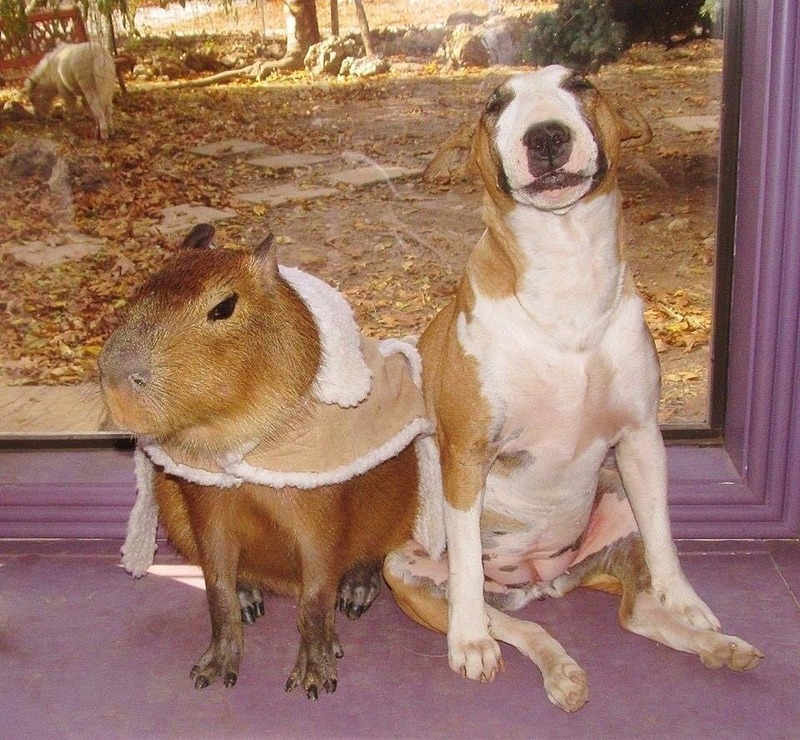 And the dogs she grew up with, well they have always been great pals…. The only ones that needed a little bit of warming up to were the chickens, but they seem to have come around too! 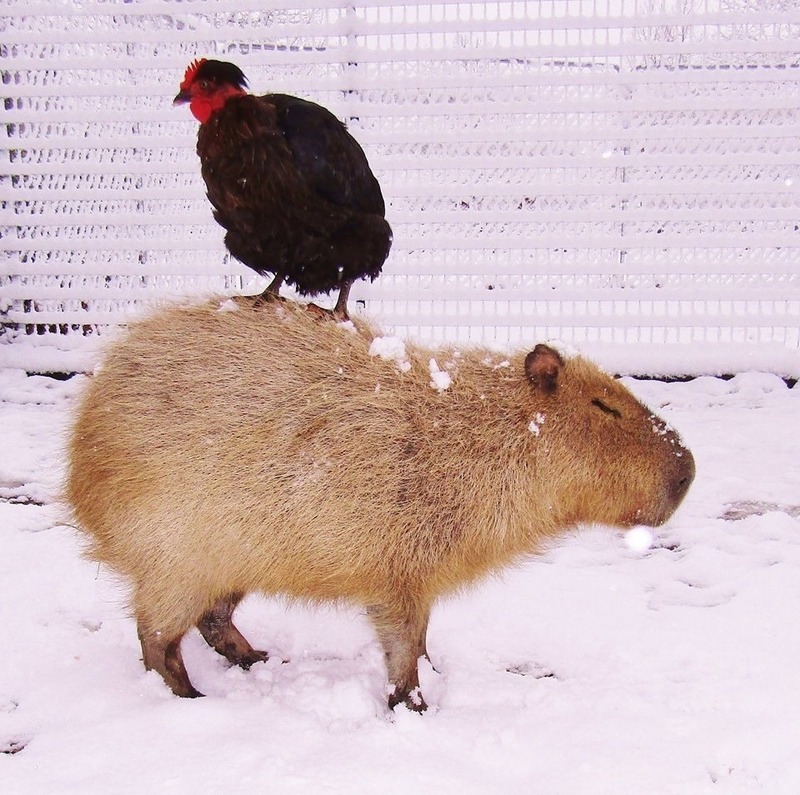 There was a second Capybara added to the refuge recently named Cobbler, who had been sent from a sad owner who figured out it was illegal for him to have in New York. 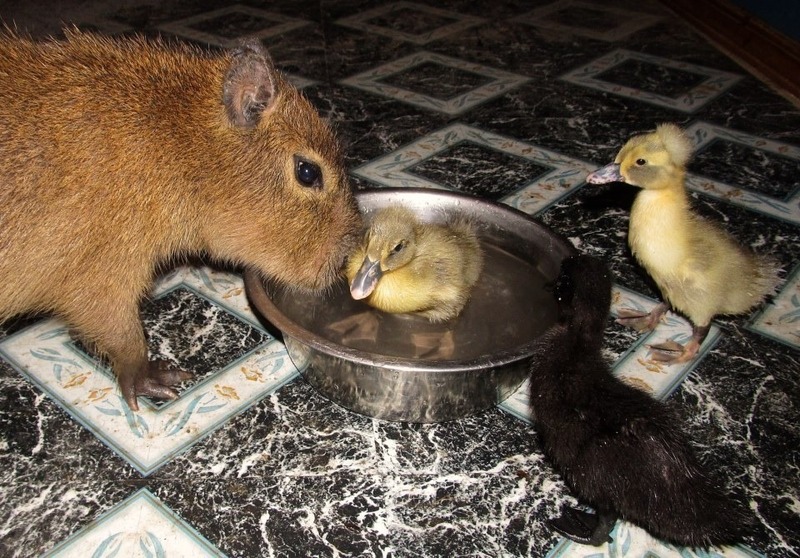 “They somehow found me, and I got sent this tiny little capybara,” the owner of the refuge added. 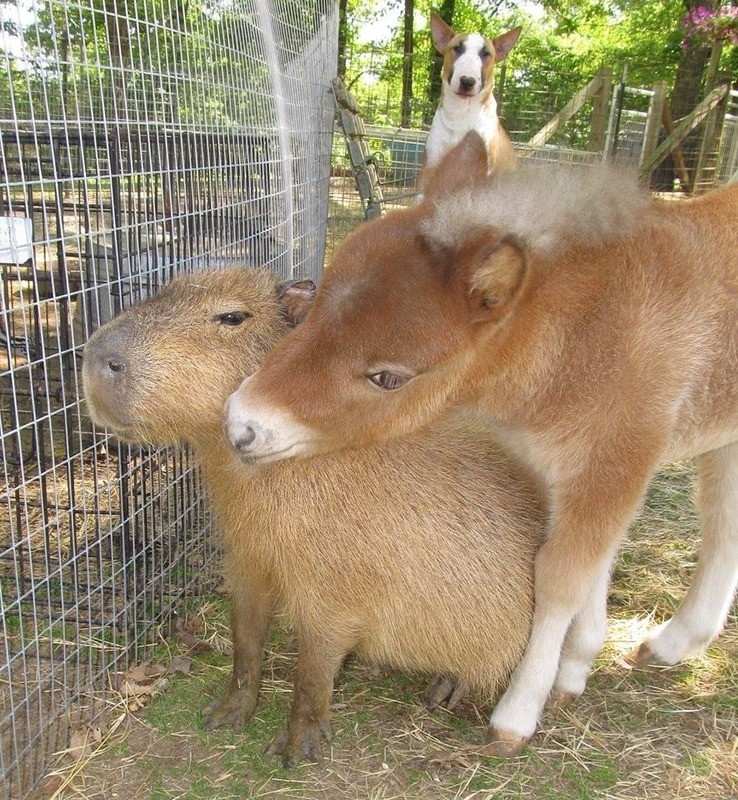 Janice stated that Capybaras are social creatures and it’s very nice to have another one so Cheesecake and Cobbler can mingle together. Since Cobbler has come, they have made a great bond, although that doesn’t discount her love for all the rest of the animals at the refuge one bit.